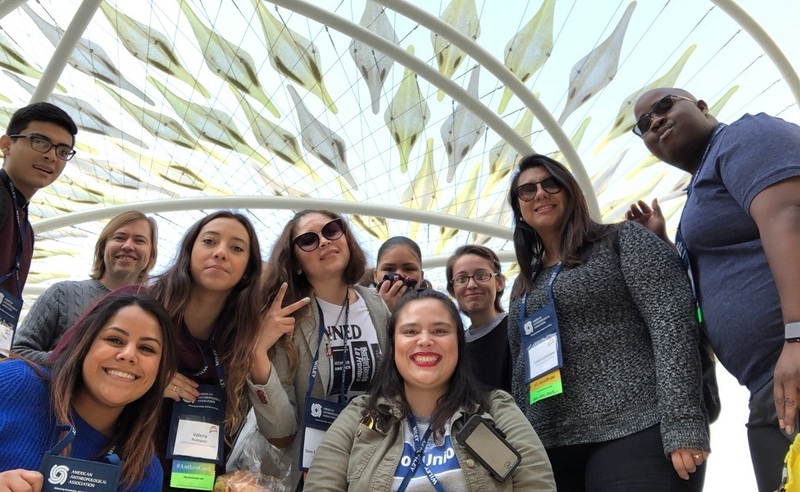 Students at the American Anthropological Association Annual Meeting in San Jose, CA in Nov. 2018: Joel Lovos, Kevin Morris, Samantha Lopez, Valeria Rodriguez, Doris Guzman, Sesley Lewis, Zarazua, Iosdelyn Ramirez, Jessica Lorenzana, Manson Johnson. EDFN M.A. 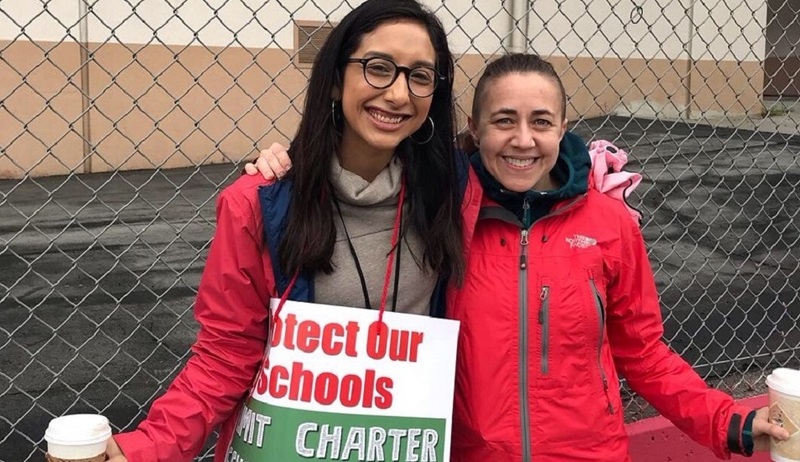 Student and LAUSD special educator Adalia Vidarte and Professor Allison Mattheis at Huntington Drive Elementary School during the LAUSD Teacher Strike, January 2019. 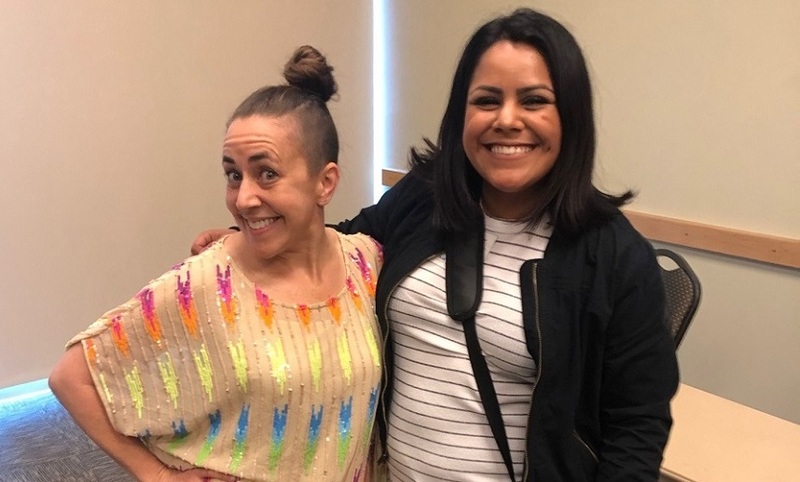 Manson Johnson,Doris Guzman,Veronica Pedroza,and Samantha Lopez at the Ethnographic and Qualitative Research Conference in Las Vegas,Nevada in February 2019. 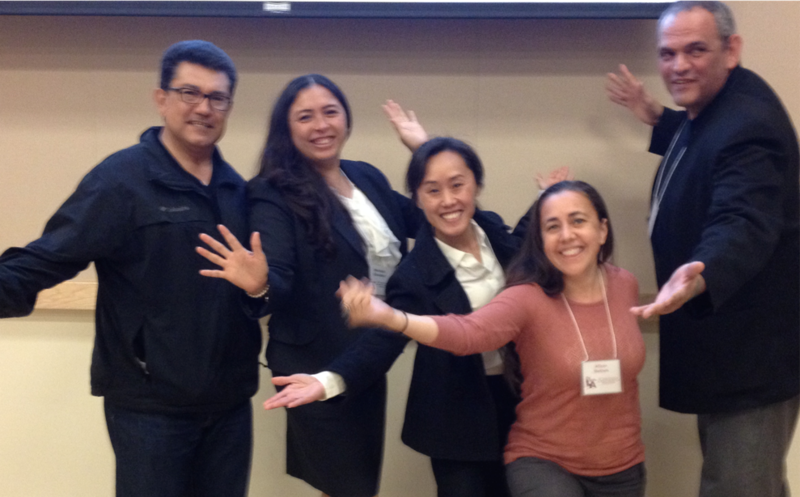 Their presentation was titled "A Critical Comparative Case Study of Graduate Student Experience." 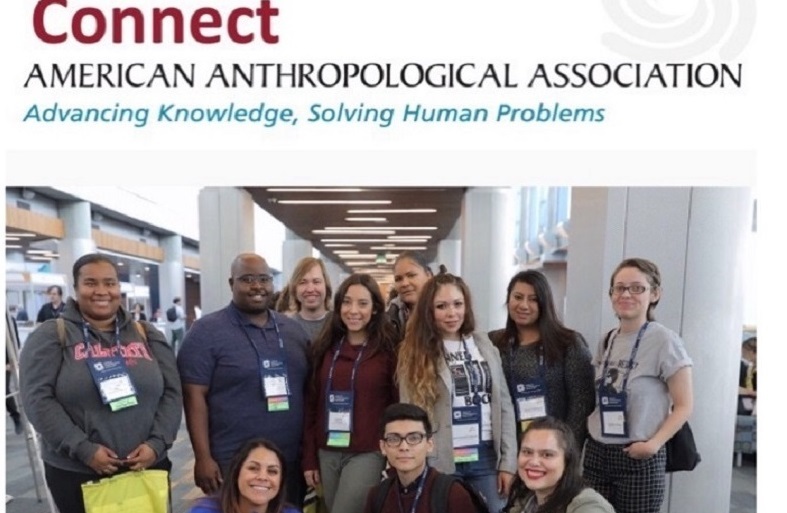 Students featured on the website of the American Anthropological Association: Raiko Vides, Manson Johnson, Samantha Lopez, Kevin Morris, Valeria Rodriguez, Joel Lovos, Sesley Lewis, Doris Guzman, Jessica Lorenzana, Zarazua, Iosdelyn Ramirez. 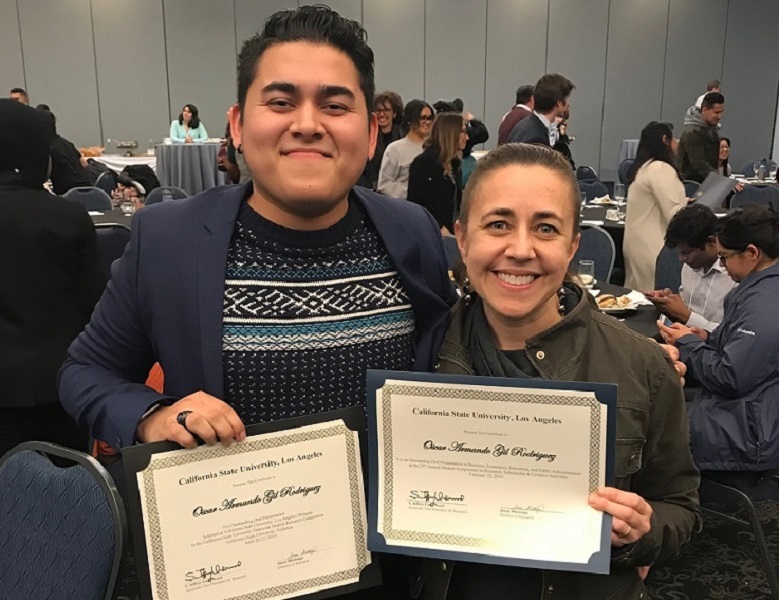 EDFN student Oscar Gil Rodriguez received an outstanding oral research presentation award for his work, "Exploring the Role of Parental Socio-Emotional Support in Supporting the Transition of Latinos from Secondary to Higher Education." EDFN M.A. 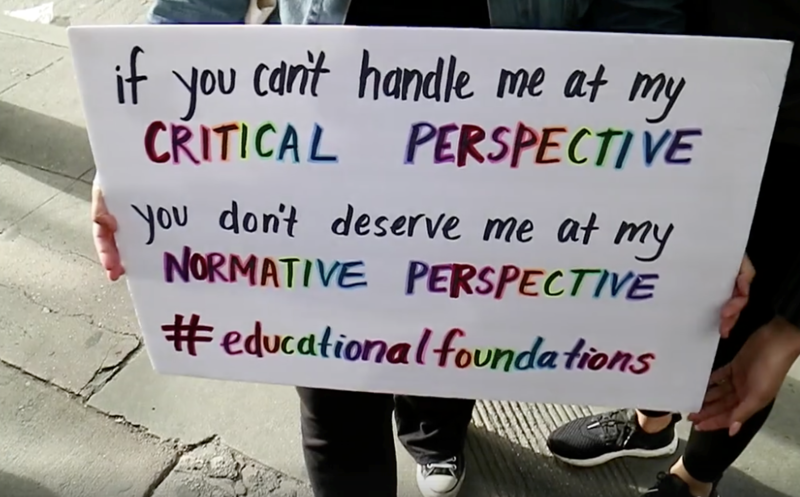 alums Navia Itzia Ramirez, Lolbette Ramirez, and D'Nisha Bush walked with this sign at the Women's March in downtown Los Angeles on January 21, 2017 They were also interviewed. Click here for the interview video. M.A. 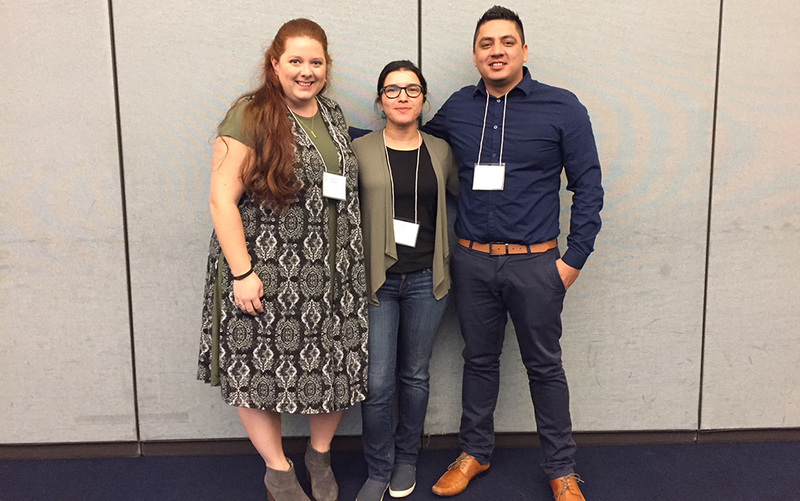 students Katherine Gilbreath (L), Anell Tercero (C), and Raul Meneses Samperio (R) presented findings from their thesis research at the 2018 ORSCA Student Research Symposium. 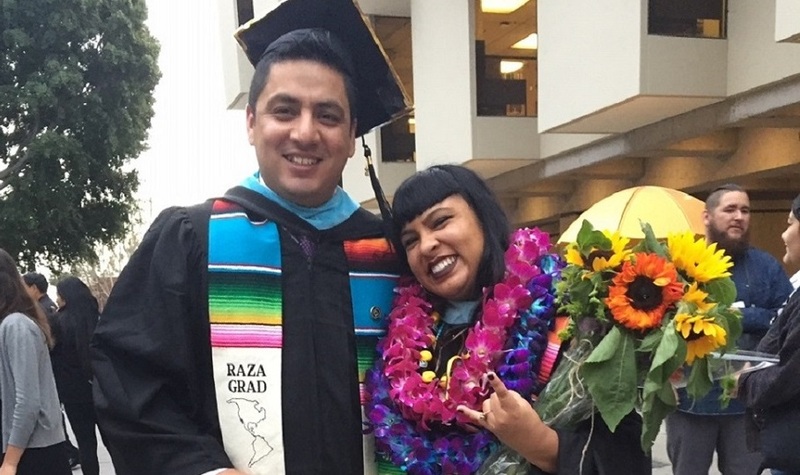 The Master of Arts Degree Program in Education – Option in Educational Foundations envisions improving the educational experience and equality of opportunity afforded to students in the culturally, linguistically, and socio-economically diverse contexts of urban schooling by contributing to the intellectual formation, critical understanding, and informed practice of the educators and educational professionals who serve those students. It offers an interdisciplinary academic program that draws on conceptual and methodological frameworks from the humanities, the social sciences, and the behavior sciences to prepare educators and educational professionals to critically examine, better understand, and more effectively respond to issues of educational equity and opportunity for students in the diverse contexts of urban schooling. The 33 unit program is unique in that it allows students to complete as many as 12 units of elective coursework, enabling students to combine their M.A. program with credential and certificate programs in the Charter College of Education and other M.A. programs throughout the CSULA. K-12 teaching in public and private schools. 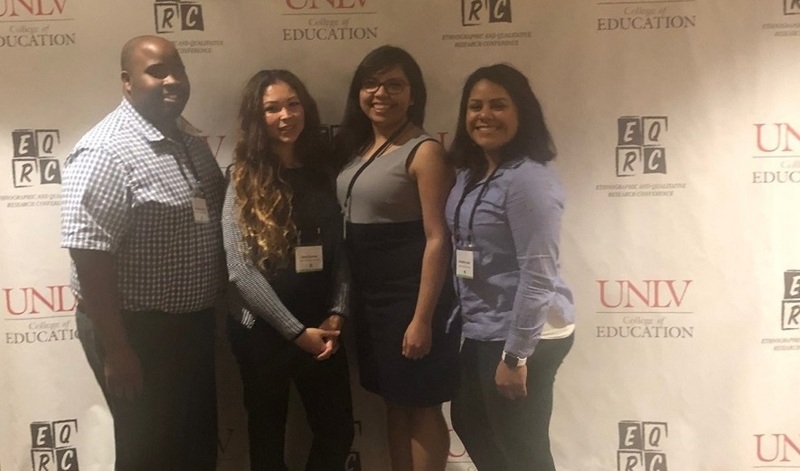 Educational Foundations students develop an understanding of the social foundations of American education in order to develop interpretive, normative, and critical perspectives on schooling in American society and issues of educational equity and opportunity for urban students. Educational Foundations students develop an understanding of the psychological foundations of American education in order to develop interpretive, normative, and critical perspectives on schooling in American society and issues of educational equity and opportunity for urban students. 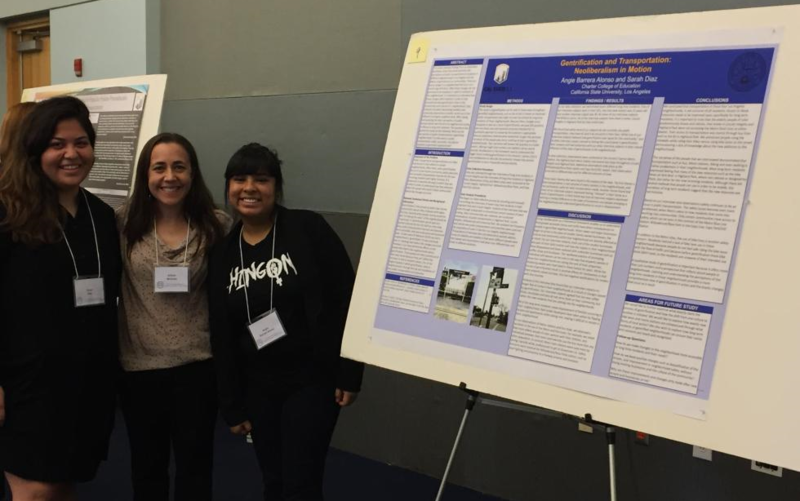 Educational Foundations students develop and understanding of qualitative and quantitative methods for social science research in education.